After almost a year without a quorum, the Federal Energy Regulatory Commission (FERC) is back to it’s rubber-stamping ways with four new Trump appointees (three of them Republicans). Since getting their quorum back, FERC has approved new pipelines, and considered several plans to subsidize coal, gas and nuclear over renewable energy. Thankfully, the rejected a ham-handed attempt by Secretary of (oops) Energy Rick Perry to charge ratepayers billions to subsidize the dirtiest energy in our electric grid. But, despite some groups already declaring victory, FERC’s rejection of Sec. 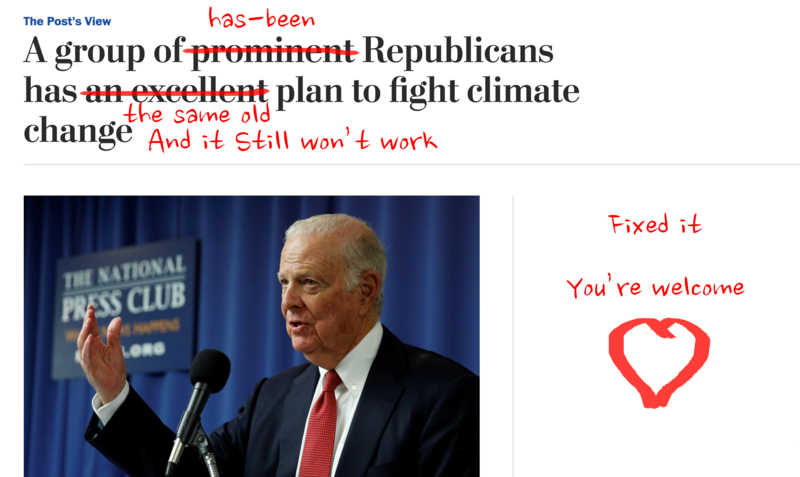 Perry’s plan was not a repudiation of the concept. And now, there’s a new threat: More than three months ago, FERC’s chairman said he wanted to re-examine the process by which FERC considers and (almost always) approves pipelines. Since then, FERC has been silent on how this review will work, and how the public can participate. But we got a clue to their thinking on March 15 when a three member majority — Chairman McIntyre and Commissioners Neil Chatterjee and Robert Powelson, all Republicans appointed by Trump — Signaled their intention to crack down on the number of people and groups allowed to formally intervene in pipeline applications. In fact, they specifically called out our allies at the Delaware River Keeper Network and warned them that “going forward…we will be less lenient in the grant of late interventions.” Commissioners LaFleur and Glick, both Democrats, dissented and expressed “serious concerns … particularly as it would apply to landowners and community organizations that lack sufficient resources to keep up with every docket.” But, as we warned Congress last year, their votes are not enough to matter. Put simply, the three brand new Republicans at FERC, every one of them appointed by Trump, could be about to radically reduce public participation as part of a plan to ram through new fracked gas pipelines. Fortunately, our friends at BXE, Delaware River Keeper Network, and others are headed to FERC this week with a pre-emptive list of demands. They’ll be meeting with one of those Democratic FERC commissioners, and we hope the can hatch a plan together that will delay or disrupt this pipeline review. Sign here and we’ll deliver your comments in person on April 5 to one of the FERC commissioners. FERC’s pipeline review protocols were last updated in a 1999 Pipeline Policy Statement — well before the fracking boom. And while we don’t trust FERC to listen to the public or experts on climate, pollution, land rights, and other issues, the pipeline review gives us an opportunity to define what a functioning Federal Energy Regulator could look like. With that in mind, our friends have put together a multi-point plan calling on FERC to hold no less than six public hearings in affected communities across the nation, as well as engaging in a robust and truly public comment period (not their usual sham). This week, allies will meet face to face with one of the FERC commissioners to deliver the list of demands, AND your comments. But you only have until Wednesday to sign on so we have time to deliver your name and comment! 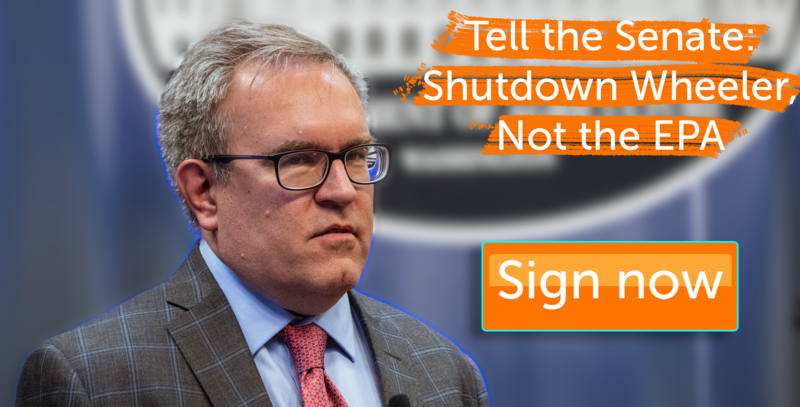 Click here to sign on to the list of demands below. Or click here to read the whole, longer letter with more footnotes and references. It is time that FERC Implement a Pipeline Review Process that Prioritizes the Public Interest Over the Goals of the Pipeline Industry. This Means Giving Proper Priority (i.e. Highest Priority) to People, the Environment, Protection Against Climate Changing Emissions and Protection of Future Generations in Both the FERC Review and Decision-making. Review and Reform of FERC’s Pipeline Review Process Must Begin with a Series of No Less than Six Public Hearings Held in Affected Communities, and 90 Days for Written Comment, So FERC Can Learn How the Current Process Is Failing and the Public Interest Reforms that Are Needed. FERC Must Mandate a Legitimate Demonstration of “Need” for a Proposed Pipeline/Infrastructure Project that is Verified by Unbiased Experts, Is Not Comprised of Contracts to Supply Gas to the Pipeline Company Itself or Any of Its Business Counterparts, and Is Not/Cannot be Supplied by Renewable or Existing Energy Sources. There Must Be a Prohibition on FERC Issuing (a) Certificates of Public Convenience or Necessity, (b) Notices to Proceed with Any Aspect of Construction, Including Tree Felling, and/or (c) Approval for Exercise of Eminent Domain, Until Such Time as an Infrastructure Project Has Secured All State, Federal and/or Regional Permits, Dockets and/or Approvals. This Includes a Prohibition on Conditional FERC Certificates. 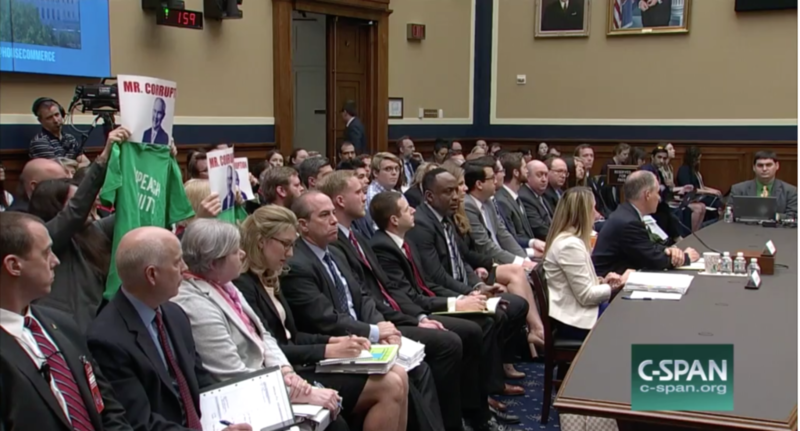 FERC Must End Its Strategic Practice of Failing to Affirmatively Grant or Deny Rehearing Requests, But Instead Issue Responses that Provide FERC More Time for Consideration (i.e. a Tolling Order), and as a Result Prevent Pipeline Challengers from Bringing a Legal Challenge in the Courts while FERC Grants the Pipeline Company the Power of Eminent Domain and Approval for Construction. FERC Must Prohibit the Practice of Hiring Third-Party Consultants to Assist in the FERC Review Process who Have Any Business Contracts (Past, Present or Future) with a Pipeline Company Seeking FERC Approval, and Must Prohibit FERC Commissioners or FERC Staff from Working on or Deciding upon Any Pipeline or Infrastructure Project in which They or a Family Member Have a Direct or Indirect Financial or Employment Interest. FERC Must End the Practice of Using Segmentation, Allowing Pipeline Companies to Break Up Projects into Smaller Segments in Order to Undermine a Full and Accurate Review of Community and Environmental Impacts. FERC Must Commit to a Full and Fair Implementation of the National Environmental Policy Act, Including Full and Fair Evaluation of Climate Change Impacts; Induced Fracking/Drilling Operations; Costs of Construction, Operation and Maintenance (not Just Benefits); Health and Safety Impacts; the Full Array of Community, Business and Environmental Impacts that Will Result; and that All Inaccurate, Missing, False or Misleading Data and/or Information Identified by FERC and/or Public Commenters Are Fully, Completely and Accurately Addressed. FERC Must End the Practice of Allowing Pipeline Companies to Secure a 14% Rate of Return on Equity on All New Pipeline Projects In Order to Ensure the Public Does Not Bear the Burden of Flawed Projects and to Ensure that FERC Does not Incentivize Inappropriate and/or Unwarranted Pipeline/Infrastructure Construction. Together, we can take action to disrupt or delay FERC’s pipeline review process. And if we succeed, we can create some space for communities on the frontlines fighting frackged gas pipelines to demand changes and a stop to construction. But only if we act fast, and together with our allies. Sign here and we’ll deliver your comments in person on April 5 to one of the FERC commissioners. We’ll also keep you updated about our plans for a massive mobilization at FERC later this spring, and more ways you can get involved and support us! 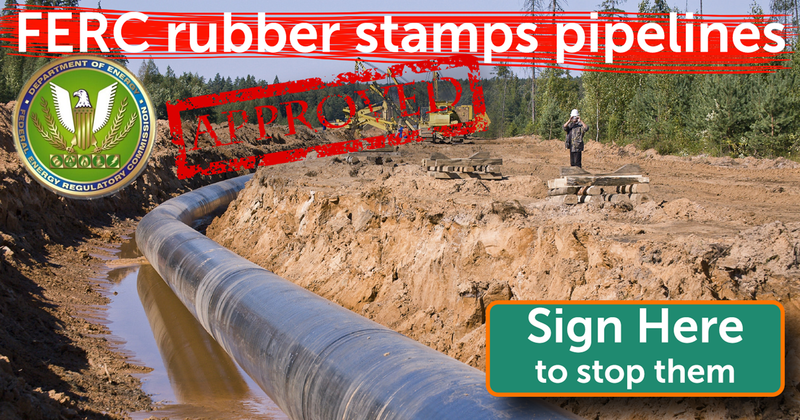 PS – got a pipeline fighting group or local organization that wants to endorse the letter? You can sign on as an organization (instead of an individual) here. Donald Trump hates big protests. So we’re gonna give him the biggest one yet to cap the first 100 days of resistance. 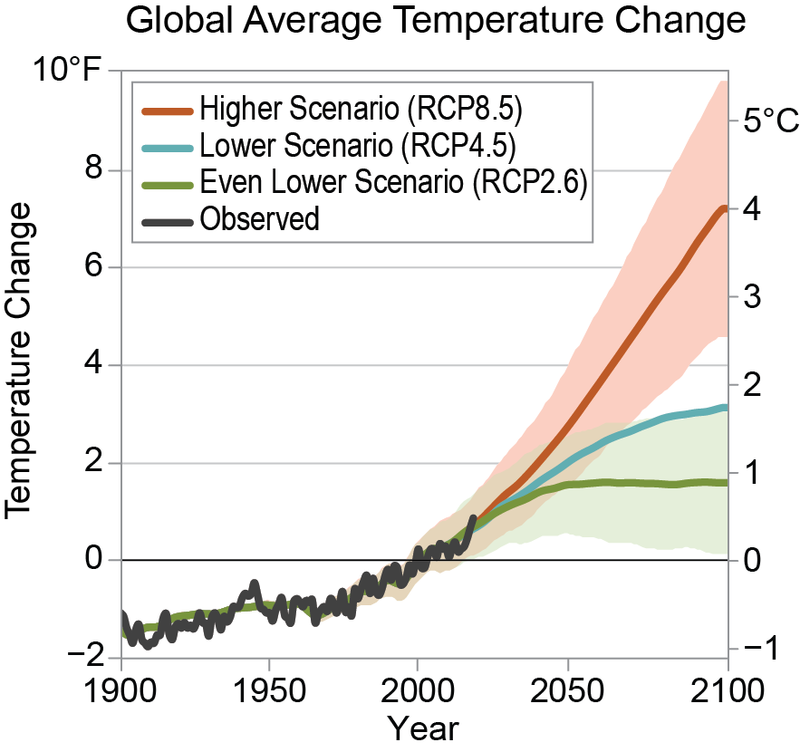 Why am I telling you all this (really) bad news? Because 7 years after the BP spill and 91 days after Trump’s inauguration it’s clear that the planet isn’t going to protect itself. But we can, with protest and direct action. Since the inauguration, we’ve seen what people power can achieve: Trump’s Inauguration: a PR disaster. Trumpcare? Withdrawn. Muslim ban? Blocked. In each case because there was a big, public outcry in the streets. We need Trump’s entire fossil fuel agenda to be next. The Peoples Climate March on April 29th is a full-scale mobilization to defeat Trump’s fossil fueled agenda, push forward our own vision of a clean energy economy, and build real political power. Click here to RSVP and say you’ll march on April 29th. Every single day since the election has been filled with inspiring acts of resistance — and April 29th will be another peak in that work. 100,000 people have already signed up to march. 250 sister marches are being planned across the country. Students, workers, faith communities, Indigenous nations, and environmental groups are all joining together to make this day historic – there’s even a delegation of fisherman traveling to DC by boat. At the end of the first 100 days of Trump’s administration, April 29 is our moment to make it resoundingly clear that the people who stand for climate action, justice, and jobs are a force too great to ignore. Drew and the 198 methods to march for change crew. There are loads of local March for Science events happening this Saturday, April 22. You can find more information here. April 26-28 our old friends at Beyond Extreme Energy are planning actions targeting FERC, fracking and more. They’ve also got housing, food and other logistics covered for front-line activists who want to attending. Learn more here. If you’re a young person, in particular, check out PowerShift Networks’ series of meet-ups, trainings and art builds. Learn more here. If you get to D.C. a day early, meet us at the It Takes Roots Action: Mother Earth’s RED LINE action Friday Afternoon, April 28. Lots of busses and communal transport options are available to get to PCM in DC. Find out more and get on a bus here. Last, if you’re considering running for office in the next three years, or know someone who should, join me (online or in person) on April 30th for a training organized by our friends at Climate Hawks Vote & more. Click here for more details. First of all – great job on Monday with the #DayAgainstDenial events. Thousands of people rallied in all 50 states – marching, meeting with senators, demanding accountability for the least ethical, most racist, least qualified, and most climate-denying cabinet ever nominated. 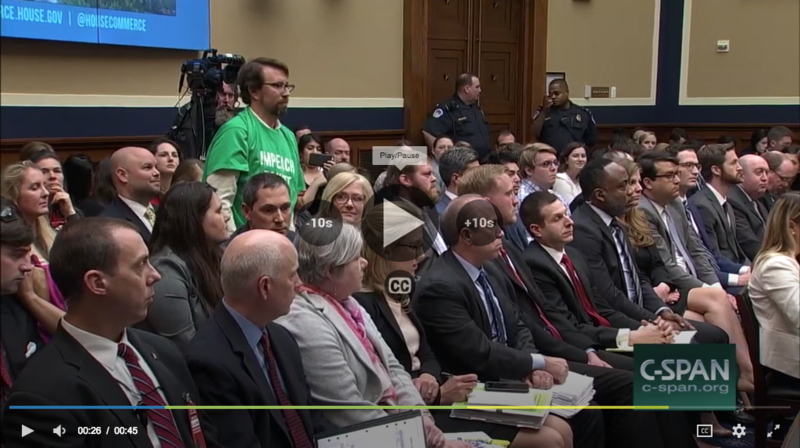 Those actions (which many of you attended) gathered media attention around the world – and they helped demonstrate a fierce resistance to Trump’s plans to govern in defiance of facts, science, and common decency. But we can’t rest on our laurels – Trump and Republican leaders in the Senate are trying to ram through confirmation hearings on four nominees today. ExxonMobil CEO Rex Tillerson is testifying today and is probably the highest profile, but certainly not the only, dangerous nominee. To stop Rex Tillerson, or any of these nominees, we need every Democrat in the Senate and at least 3 Republicans to vote against them. There’s good news: Some Republicans like McCain, Graham, and Rubio have voiced hesitations about Tillerson. We can win, but we need to put pressure on these senators. Call your senators TODAY: Call the Senate switchboard at (202) 224-3121 and tell your senators to oppose the nomination of Rex Tillerson, Jeff Sessions, and ALL of Trump’s racist and climate-denying cabinet nominees. 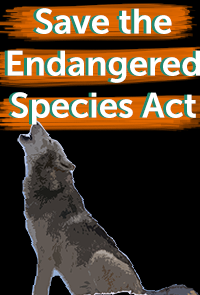 You can click here to tell us how it went, and also get links to more resources for contacting your senators. Attorney General: Senator Jeff Sessions is best known as a racist (he was once considered too racist to serve on a federal court). But he’s also a Climate Denier, and both facts matters in an Attorney General because the AG oversees a specific unit on Environmental Racism. And as our top cop, Sessions would also have the power to quash investigations of companies like Exxon that lied about climate change. 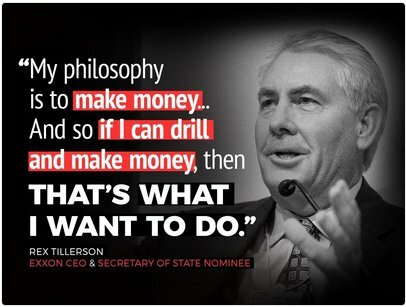 Secretary of State: ExxonMobil’s CEO Rex Tillerson, a top funder of climate denial and attacks on climate action who helped in Exxon’s cover-up of its climate science. 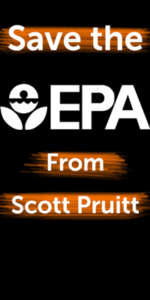 Environmental Protection Agency: Oklahoma Attorney General Scott Pruitt, who has spent most of his time in office filing (and losing) lawsuits against the EPA. He even let an oil company write some of his official correspondence. 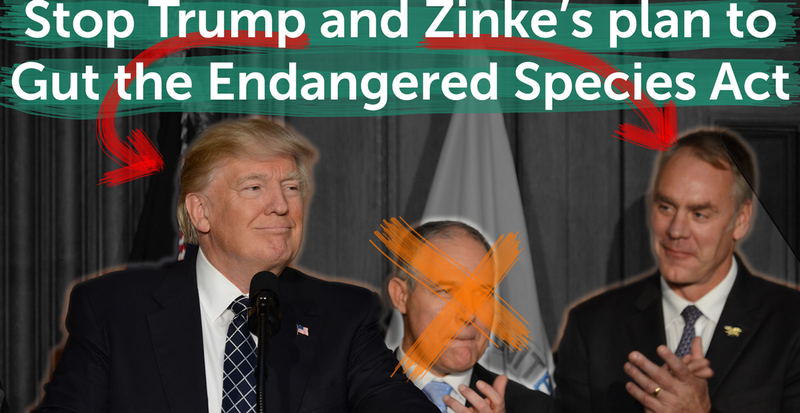 Department of Interior: Representative Ryan Zinke, who has been fighting to dig up as much coal, oil, and gas from public lands as possible. These men (and yes, almost all Trump’s nominees are white men) could do enormous damage in office. Big Oil would effectively be in control of our foreign policy, energy policy, and environmental policy. Senators should reject each of them. The resistance to Trump is just beginning. In the coming weeks there will also be massive rallies in many cities on January 20, the day of Trump’s inauguration. And there will be many opportunities to fight Trump’s nominees in hearings, and up to 30 hours of floor debate for each nominee. But today’s the day to call and tell your senators to vote no on Session, Tillerson and other nominees who are being given hearings they don’t deserve to serve in posts they are unfit for. 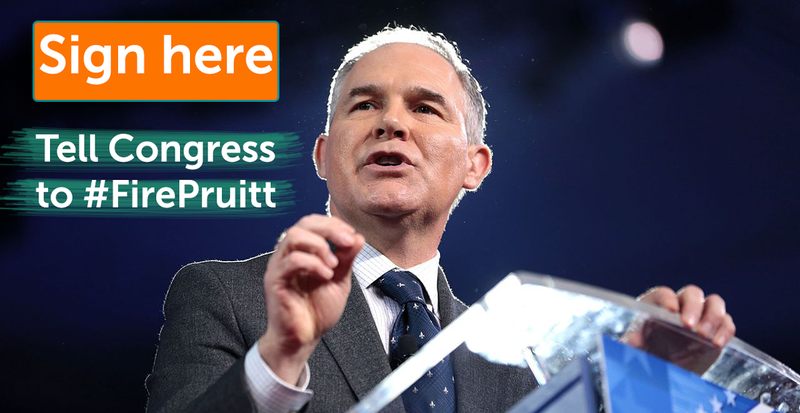 This week Senators will begin hearings on Donald Trump’s picks for his cabinet — including the climate deniers he’s chosen for every major environment related position in the White House. Tomorrow, Monday January 9, is our chance to push back. A huge coalition of groups are organizing actions at Senate offices in all 50 states to oppose the Climate Denier Cabinet. The #DayAgainstDenial will put pressure on every single Senator to stand up against Trump’s reckless picks — and there’s an event near you in Columbia. 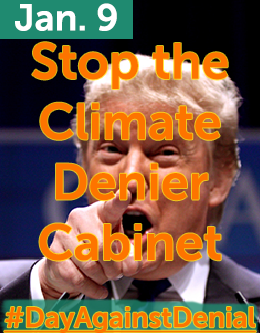 RSVP here for the Day Against Denial action in Columbia on January 9th and help keep Trump’s climate deniers out of the cabinet. Most Senators don’t have a position yet on Trump’s cabinet choices, and are waiting to hear from their constituents to pick a side. Secretary of State: ExxonMobil’s CEO Rex Tillerson, a top funder of climate denial and attacks on climate action who helped in Exxon’s cover up of its climate science. These men (and yes, almost all Trump’s nominees are white men) could do enormous damage in office. Big Oil would effectively be in control of our foreign policy, energy policy and environmental policy. Senators should reject each of them. The resistance to Trump is just beginning. In the coming weeks there will also be massive rallies in many cities on January 20, the day of Trump’s inauguration. And there will be many opportunities to fight Trump’s nominees in hearings, and up to 30 hours of floor debate for each nominee. But it’s essential that we start with a bang this Monday – so every Senator knows that the climate movement will show up to stop them.